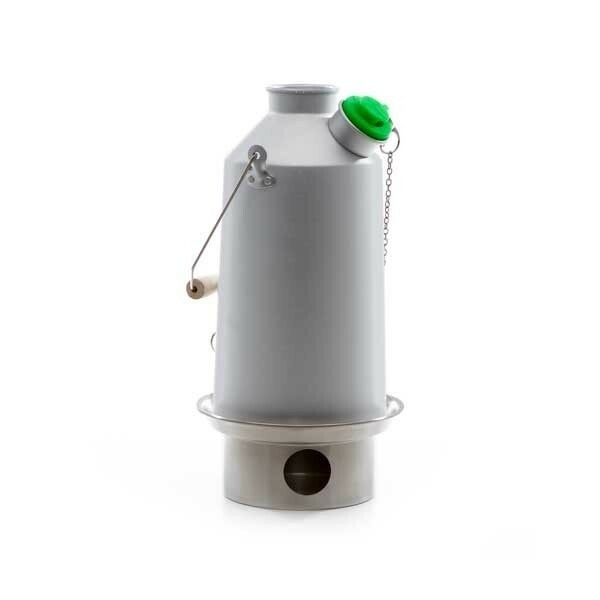 Our Large 'Base Camp' Kettle in Anodised Aluminium. Boils 54 fl.oz. of water quickly - in ALL weather conditions. Perfect for Base Camps, Outfitters, Car Camping, Family Picnics, Fishing, Scouts, Large Families or Groups, etc. 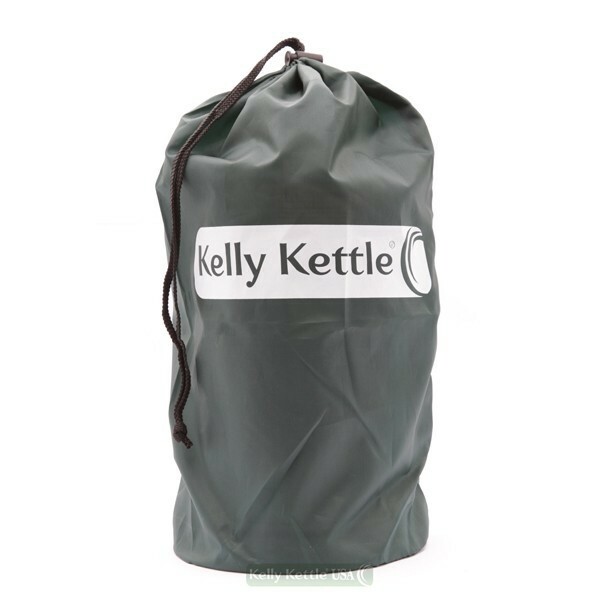 This Kelly Kettle boils approximately 9 x 6 oz. Mugs of water at a time and is the size traditionally used by Irish Anglers. 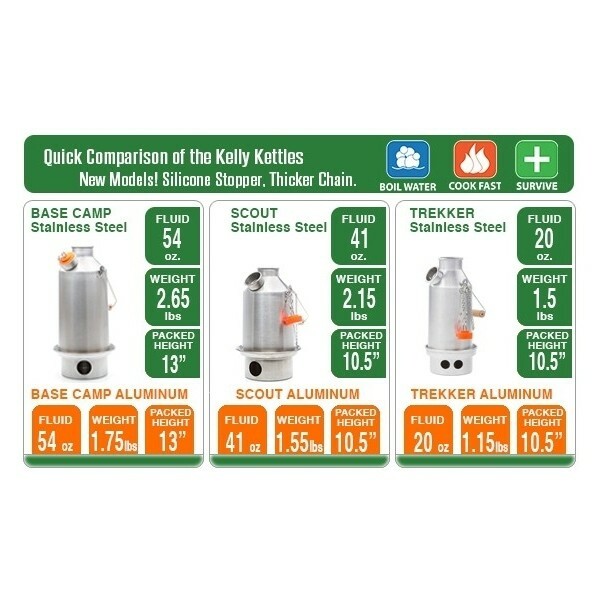 Suitable for Base Camps, Car Camping, Scout Camps, Picnics, Hunters, Outfitters Outposts, Emergency Preparedness Kits, Humanitarian Aid Stations, or anyone working in the Forests or the Great Outdoors. A popular Green Whistle has replaced the Orange stopper on this Kettle and will let you know when the water has boiled. NEVER Boil with the older Orange Stopper Inserted! 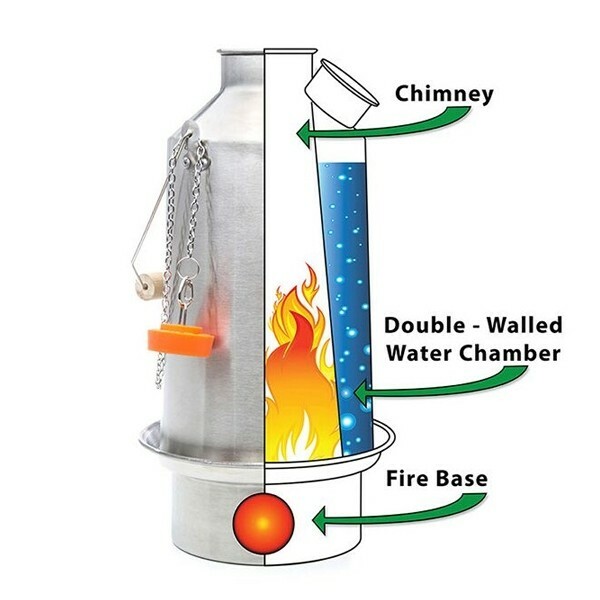 Better still, add our Hobo Stove accessory to turn the fire base of your kettle into a stand-alone wood fueled Camping Stove. 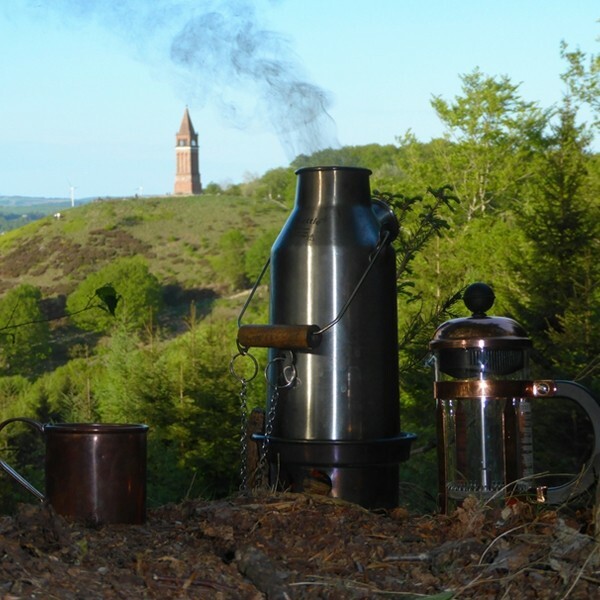 Best Water Boiling Device Ever! I've had my Kelly Kettle for some 20+ years and I have to say it's probably my most utilized camp item. It only boils water but it does it dang well and super efficiently! A handful of twigs is usually enough to bring the water to a boil. It's perfect for car camping but is light enough for backpacking, although it is a little cumbersome to pack. I usually just lash it to the outside of my pack. 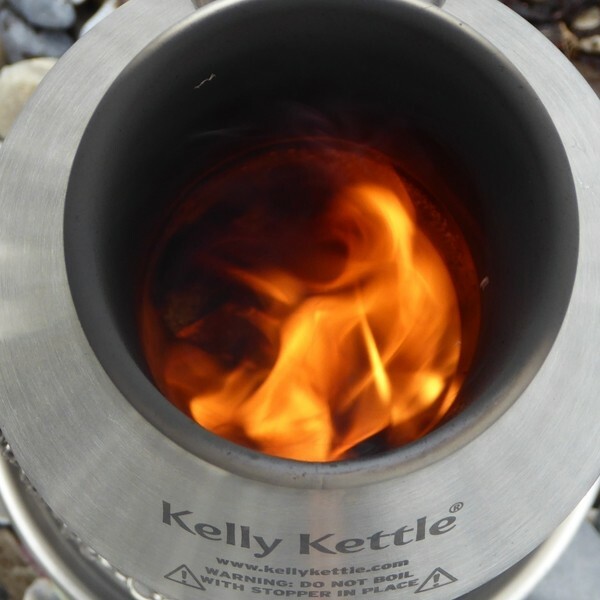 The Kelly Kettle is perfect for making your coffee, tea, or cocoa and re-hydrating camping food or soups, as well as heating water for doing the dishes. And even though it's make out of aluminum, it is durable and takes some abuse. Mine has dings and dents but has never had any problems. I highly recommend this. Makes camping so much easier! 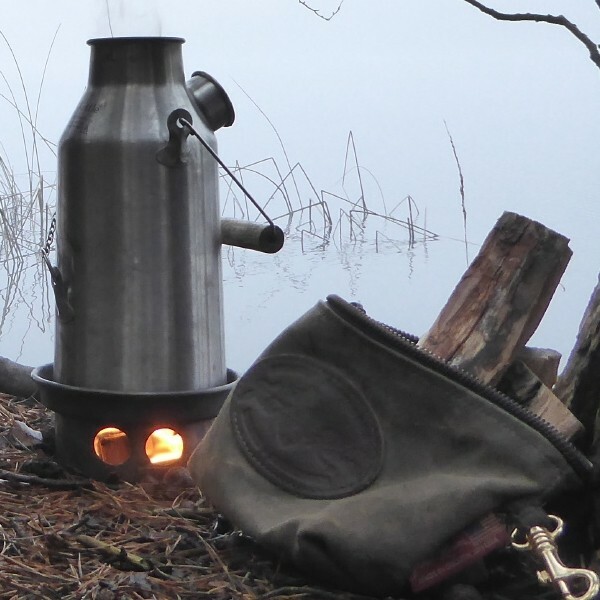 Base Camp Kettle a Must have!